Interest in the Old Testament is growing as younger generations take a look at its books for the first time and as previous generations take a new look at familiar writings. However, understanding the Old Testament can be challenging. 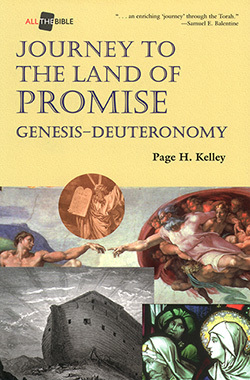 Kelley uses his extensive background in teaching the Old Testament to provide a fresh primer on the first five books, taking us on a journey from creation through the giving of the law. Kelley helps readers understand the process through which the Pentateuch developed and offers helpful approaches to interpreting its contents. 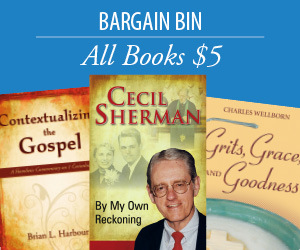 The book is an excellent resource for group or individual study of the first five books of the Old Testament. All the Bible is an 8-volume basic biblical survey series that nurtures a better understanding of the message and background of the biblical writings. The general editor of the series is R. Alan Culpepper, Dean of the McAfee School of Theology, Mercer University, Atlanta, Georgia. Page H. Kelley was an author and professor in Louisville, Kentucky, before his death. This, his final published work, is the last in a storied list of titles, including Biblical Hebrew: An Introductory Grammar and Interpreting Isaiah. He taught at the Southern Baptist Theological Seminary in Louisville, Kentucky, Seminario Teologico Batista do Sul do Brasil in Rio de Janeiro, Brazil, and the Baptist Theological Seminary at Richmond.